Lower back injury can occur in many forms and might have long-term implications for causing pain. Although injury is an obvious origin of acute dorsalgia in all locations, it does not seem overly logical as a source of chronic pain. This is because the anatomy is primarily designed to heal as its main objective. When trauma does occur, the body will immediately recognize the need to resolve the injury and will seek to accomplish this using a wide range of virtually miraculous healing processes. Human beings continue to improve technologies and have in many ways reduced their chances of suffering injury in the modern world. However, activity-related traumas are still commonplace and include sports-related damage, as well as vehicular traumas and falls. This resource section provides a complete picture of the physical and psychological effects of injury to the lower back. 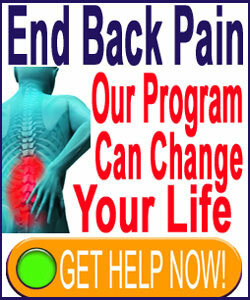 We will detail many possible injurious scenarios and dispel many of the myths of spinal injury. If you have damaged your spine or know someone who is suffering long-lasting effects of some back injury, then this section will provide a fresh and factual look at what is causing the discomfort and how it should be managed. Injury can occur to any of the spinal tissues. Different structures are more susceptible to different forms of trauma at different stages of life. The spines of children still have softer bones and are more susceptible to vertebral fracture. Meanwhile the bones of older or unhealthy adults are often porous and highly likely to suffer fracture from direct trauma or even from the weight of the body causing a compression break scenario. Spinal discs are most likely to be injured once they begin to experience desiccation in earnest, usually after the age of 30. However, fully desiccated discs are much less likely to form symptomatic herniations or even significant bulges in advanced age, making the elderly less likely to suffer from disc-related pain than people in the age range of 20 to 55. Ligament problems are most commonly seen in athletic people, as well as in elders with ossification or hypertrophic conditions in these soft tissues. Spinal nerve and spinal cord trauma are the worst case scenarios and might create permanent functional impairment, along with the possibility for putting life itself at risk. Neurological trauma are far more commonplace in people with unstable or structurally-compromised spines. The following essays help to expand the coverage of this section by focusing on specific aspects of injury to the lower back and its possible consequences. Each new topical discussion will be added below as it is made available and published. Fractured lumbar vertebra can create pain and even disability in rare instances. Lumbar fractures can occur from trauma or from compression scenarios. Sacrum injury is rare, since the sacral spine is very strong and consists of a thick fused piece of bone that is reinforced and protected by the pelvic ilium and the lumbar spine. Coccyx injury is more common is people with prominent tailbone formation. Fractured coccyx injuries are common results of falls and other traumas to the tailbone. Lumbar spine injury can affect the vertebral bones, intervertebral discs, spinal cord, spinal nerves, spinal ligaments or other structural components of the backbone. Lumbar spinal cord injury affects the bottom end of the spinal cord and might result in sexual dysfunction, incontinence and paraplegia. Lumbar nerve injury is much more common and can affect any or all of the structures of the cauda equina. RSI low back pain provides cumulative effects of multiple minor strain conditions to create a chronic syndrome of suffering. Low back pain after a car accident can result from substantial injury or even from psychological nocebo effect. Whiplash lower back pain is often part of a cascade of pain after severe hyperflexion and hyperextension of the cervical spine. Scar tissue in the low back may build-up from repeated injuries, occur due to severe singular injury or result from surgical injury to the lumbar spine. Lumbar spinal fluid leaks are most commonly experienced after epidural injections, epidural anesthetics and surgical interventions on the lower spinal regions. Lumbar wedge vertebra can develop due to trauma, but may also result from congenital factors or even massive lumbar degeneration. Low back pain after falling can result from lasting or transient injury to the spine, muscles or general dorsal region. The higher the height of the fall and the harder the landing surface, the worse the consequences will typically be. Delayed onset lower back pain is an interesting, proven phenomenon in which pain begins at some time after injury, due to purely physical, combination physical and emotional, or purely emotional reasons. Lumbar dislocation occurs when a vertebral bone is knocked out of its proper place and possibly disconnected from one or more spinal joints. Lumbar vertebral subluxation is a chiropractic diagnosis that speculates that one or more lumbar bones have moved out of their ideal positioning and can be corrected through manual adjustments of the spine. This theory is not embraced as a real occurrence by most traditional medical providers. Lumbar myelopathy can occur from injury, spinal stenosis or disease and is defined as spinal cord trauma of an unspecified nature. Although significant traumas certainly have the ability to commit lasting injury on the body, it seems more logical that many cases of chronic pain, especially those caused by relatively minor and moderate injury, are probably continued as a primary imperative of the mind, rather than simply a consequence to the anatomy. Doctors realize this and address the problem through the treatment of “psychological overlay”. However, this assumes that the continuing pain is a result of some secondary gain mechanism, which is usually incorrect. We have verified that the overwhelming majority of mindbody pain continuation occurs to satisfy primary gain and this is why the doctor’s efforts are generally ineffective and even insulting to many of their now alienated patients. We cover the topic of mindbody symptoms and treatment in our section devoted to psychosomatic interactions in the cause, severity, duration and escalation of chronic pain. We highly recommend that you take time to learn about the facts of mindbody symptoms if you really want to find lasting relief from stubborn lower back pain that has not responded to traditional care practices.